The U.S. Army M1 Armor Crewman works as part of a team to operate armored equipment and fire weapons to destroy enemy positions. During combat, their role is to operate tanks and amphibious assault vehicles to engage and destroy the enemy. Tanks like the M1A2 Abrams use mobility, firepower and shock effect to close with and extinguish enemy forces. 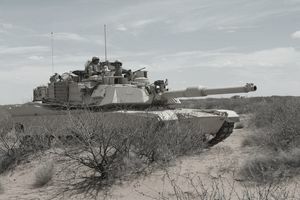 Job training for an M1 armor crewman requires 15 weeks of One Station Unit Training. Part of this time is spent in the classroom and in the field under simulated combat. ASVAB Score Required: 87 in aptitude area CO.
Correctable vision of 20/20 in one eye and 20/100 in the other eye. There is no civilian occupation that is directly equivalent to MOS 19K. However, the following civilian occupations make use of the skills developed through MOS 19K training and experience.